Class actions allow a large number of people who have suffered a similar harm to come together to pursue a claim against a large company or organization. Often times, the actual individual damages may be small and may make it difficult or impossible for an individual to take on a large corporation. However, a class action allows individual consumers of fraud or defective products, or individuals who have purchased or used certain products or services, such as building materials, drugs, medical devices, hip implants, or even misconduct by a mortgage company, to come together to pursue the claim against the corporation. The Estes Law Firm is currently investigating and reviewing numerous class actions, including claims pertaining to defective and leaking pipes that were installed in homes all across the country. 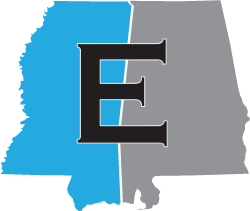 The Estes Law Firm has filed one individual lawsuit in Mobile County pertaining to Pex pipe. If you have Pex pipe installed in your home and have experienced leaks, talk with the Estes Law Firm about whether you may have a claim. Chris has most recently served as class action counsel in cases involving Medicare Fraud, the Telephone Consumer Act (TCPA) violations, and facsimile blasting (sending of unsolicited faxes). If you have a claim that you believe may be suitable for pursing on a class action basis, contact the Estes Law Firm for a free consultation. Contact us for a free review of your Class Action and Complex Litigation case.